We love it when brands aren’t afraid to have a little fun. Yes, we understand that business is business, and you have to keep those interests in mind at all times, but there is nothing wrong with a piece or two made simply to put a smile on someones face. 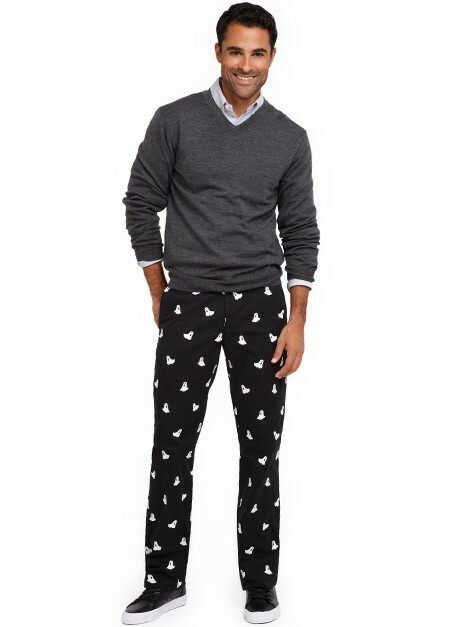 There probably isn’t anyone out there who has perfected this model better than Bonobos, so it should come as no surprise that they have released a pair of pants especially for Halloween. It may be too late to order a pair of Boo!-Yas ($145) for this year’s festivities, but that doesn’t mean you shouldn’t go ahead and pick up a pair in preparation for Halloween 2012. 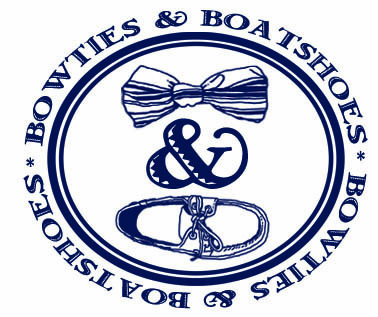 It is no secret that we are both college football fans here at Bows & Boats, and though we are from Annapolis, we each have roots in the South when it comes to our favorite teams. 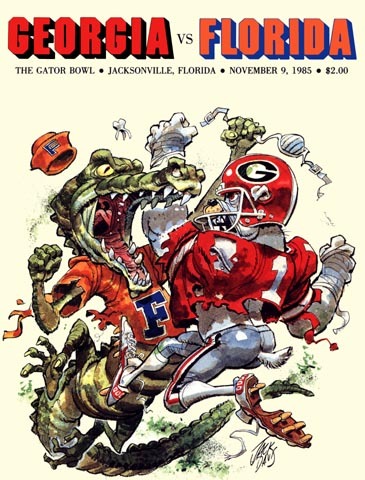 Ryan is a UGA grad, and Ben adopted the Florida Gators as his team while attending school in St. Augustine. Needless to say, we have each spent our fair share of time at the Landing in Jacksonville enjoying the festivities surrounding what has become known as “The World’s Largest Outdoor Cocktail Party.” In honor of this yearly tradition, we are taking the day off to enjoy a couple of adult beverages, and hopefully one heck of a showdown this afternoon. It seems that the amount of plaid we wear is directly related to the temperature. As temperatures drop, more and more plaid pieces get broken out. This week, temperatures have definitely been heading South in Annapolis, and with a weekend forecast that is calling for possible snow (no, we are not happy about it), plaid is definitely in full effect this Bowtie Friday. 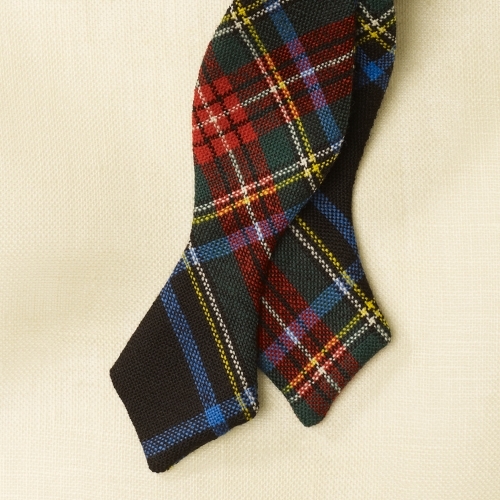 Our pick for the week is the Scottish Tartan Bow ($49.50) by Rugby. Mixing and matching fabrics and textures is the key to a good look. But honestly, anyone with a sense of style can make a couple of layers work together. 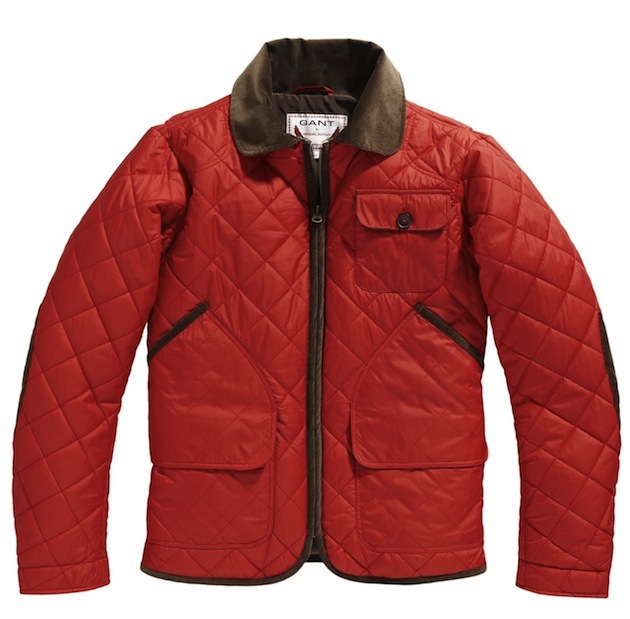 It takes a true talent to combine contrasting elements into a single fantastic garment, and that is exactly what Michael Bastian has done with his Quilted Tracking Coat for Gant ($445). Popped collars can be polarizing. Some may think it is a great look, while others are highly against collar popping in any form. In our opinion, guys have absolutely no reason to pop a collar unless they are at sea, or stuck in a storm of some sort. Ladies, on the other hand, get a bit more leeway in our eyes. If you are a girl who likes to pop a collar from time to time, you are going to love the Long Sleeve Cove Collar Shirt ($76) from our friends at Salmon Cove. Weejuns by G.H. Bass & Co. If you have ever looked a pictures taken on a college campus in the mid-60’s you will see that not much has changed in the world of prep fashion in the past half century. Sure, there have been a number of variations of what is considered “preppy” over the years, but the staples will always persevere. One staple that saw its popularity skyrocket back in the 60’s, and continues to see continued success to this day, comes from the team at G.H. 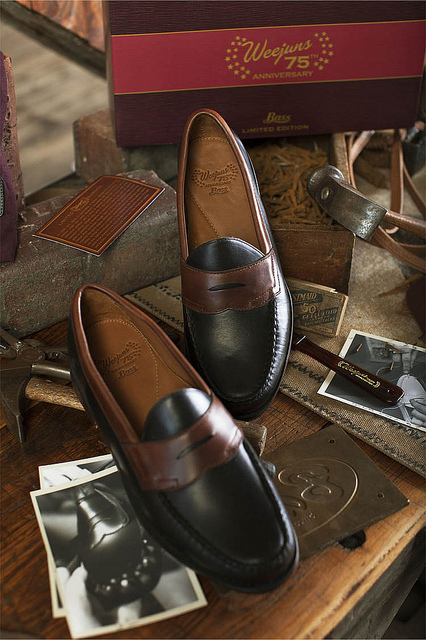 Bass & Co. Their Weejuns (prices vary) are an essential piece to every wardrobe. Layering season is officially here. We aren’t sure when the transition actually occurred, but there isn’t a day in recent memory that we haven’t left the house without an extra layer or two. Sure, it is still warming up enough to keep the heavier options at bay for a few more weeks, but the rest of our layering pieces are getting quite a workout. 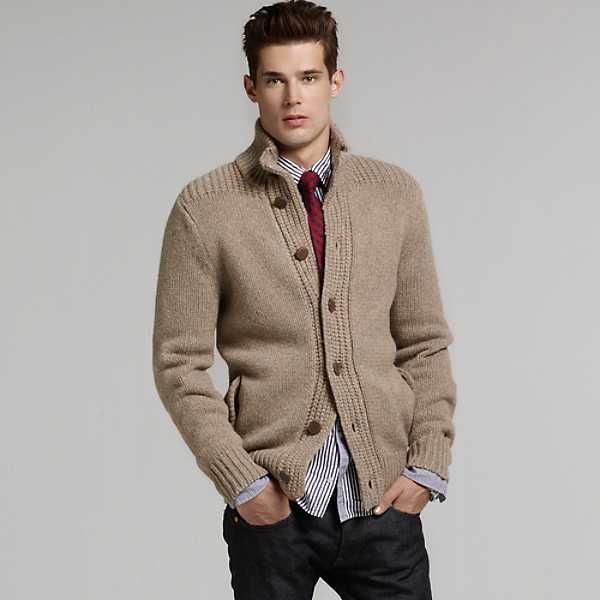 One layer that is absolutely going to be in heavy rotation as temperatures continue to drop this Fall is the Wool Sweater Jacket ($178) by Tommy Hilfiger. As much as we love to use belts as a way to add a bit of color or style to an outfit, there is something to be said about a basic brown leather belt for casual wear. For the most part, it will match everything in our closet, and if it is well made it will last for years on end. Sure, there are flashier options out there, but sometimes you just need to keep things simple. 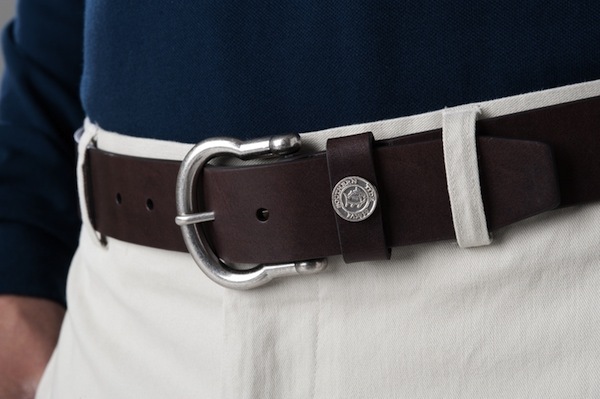 Recently, our friends at Southern Tide decided the timing was right for them to release their take on this wardrobe staple with their Classic Leather Belt ($65). Annapolis is a small town, and you never know who you might run into. This is especially true when major events are taking place. A few weeks back at the US Sailboat Show, we ran into Andy Smith, the owner of Jimmy and Sook. With a full store just up Main Street, we assumed Jimmy and Sook wouldn’t be exhibiting this year, boy were we wrong. Their booth was busy the whole time we were visiting, and it was awesome to see how well people were receiving the brand. 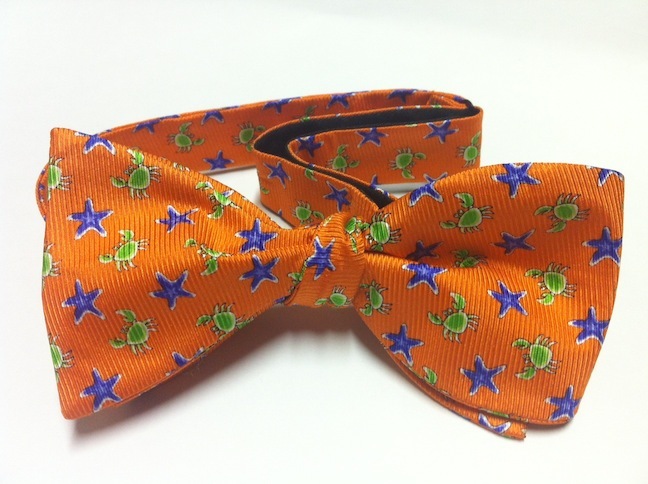 To say Andy was excited to show us the latest addition to the Jimmy and Sook collection, the Crab and Starfish Bowtie ($55), would be an understatement. Whether your collar is white, blue, or somewhere in between, every man needs a solid pair of work boots. While many think of work boots as big, bulky, and generally not very fashionable, they are simply looking in the wrong place. In our opinion, some of the best looking boots on the market today were designed to stand up to the rigors of a hard days work. 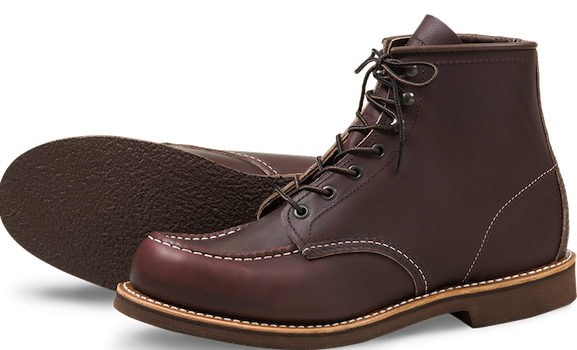 The perfect example of this comes from the Red Wing Heritage Collection and is simply known as Style No. 213 ($260).